This past weekend, Beth Kerly and Dr. Andy Gold, NACCE members from Hillsborough Community College in Florida, along with Dr. Rebecca Corbin, President & CEO of NACCE, attended the VentureWell OPEN conference in Washington, D.C. This trio won the conference's “People’s Choice Award” for their poster receiving more votes than any of the other 30+ entries. 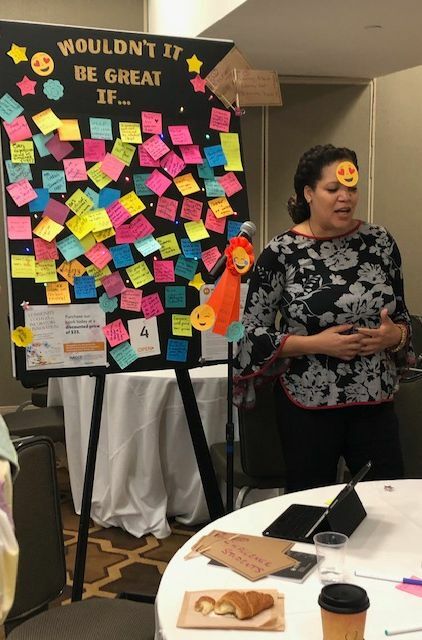 The theme was design thinking and attendees were invited to answer the question “Wouldn't it be great if...” on a post-it note. The poster featured NACCE’s new book Community Colleges as Incubators of Innovation & copies were given away for promising ideas. This dynamic trio also held a design thinking workshop. The winning poster board was featured and teams of college and university leaders experienced the design thinking process, including building prototypes from materials in the room. 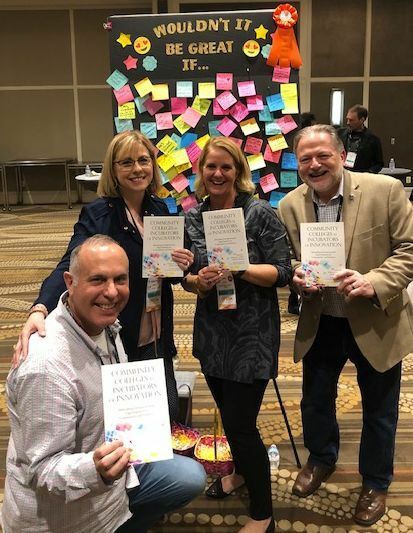 At the conclusion of the session, a book signing took place with some of the authors, including Dr. Andy Gold, Beth Kerly, Dr. Steve Tello and Dr. Rebecca Corbin. Read more about NACCE's book here.